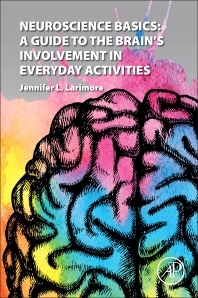 Neuroscience Basics: A Guide to the Brain’s Involvement in Everyday Activities examines how our brain works in everyday activities like sleeping, eating, love, and exercise. Many want to better understand how the brain works, but the terminology and jargon of books can be overwhelming. The book covers the basics taught in an introductory neurobiology course designed for anyone new to the neuroscience field, including non-neuroscientists. While each of the chapters explore the brain in a normal state, Neuroscience Basics also discusses disruptions of the normal state—psychosis, Alzheimer’s, Parkinson’s, autism, learning disorders, etc. This book breaks down the topics into language that is more accessible while making the neuroscience topics fun and relevant. 2. Time to start the day! How our Senses Help Us Wake Up! 3. 6:35 AM Time to Run! I run so I don’t kill people. 4. 9:00 AM Lions and Tigers and Bears, oh my! Oh wait, no, it’s just work! 5. 10:00 AM - Staff Meeting about the new thing and how we have to learn it to do our job! 6. 11:30 AM Hanger: (n) hunger induced anger. 7. 3:30 PM My Mood Ring is Blue Right Now. Dr. Larimore is an Assistant Professor of Biology and Neuroscience at Agnes Scott College in Atlanta, Georgia. She received her Ph.D. in Neurobiology from the University of Alabama at Birmingham (UAB) and then went on to a post-doctoral fellowship at Emory University. After her post-doctoral fellowship, she started her teaching career at Agnes Scott College. Her research focuses on the cellular mechanisms of neurodevelopment.